Born in1954, Bell products are shaped from the inspirational forces of auto and motorcycle racing, and the emerging bike culture of the time. Bell builds helmets that allow riders around the world to live, ride, drive and thrive to be their best. Bell doesn’t just make helmets, they make possibilities. Bell’s sports helmets give precedence to function over form, yet the end result is always a performance tool with a uniquely aesthetic appeal. 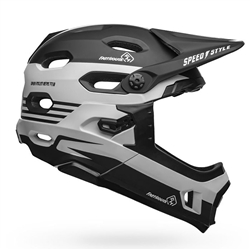 The company offers a wide range of protection, price points and fits for different riding styles, and riders of all ages. 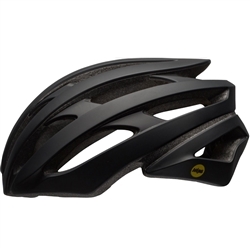 Riders find plenty of ventilation, adjustability and light-weight comfort. Bell offers many price points and fits for riders of all ages. We like Bell’s commitment to their values: they support places to ride and compete, backing their words with cash that funds trail-building initiatives to create accessible trails in bike intensive communities. Proven for over sixty years, Bell helmets provide good value from a company that’s been making helmets long before anyone else. Bell Helmets – built to use, built to perform.